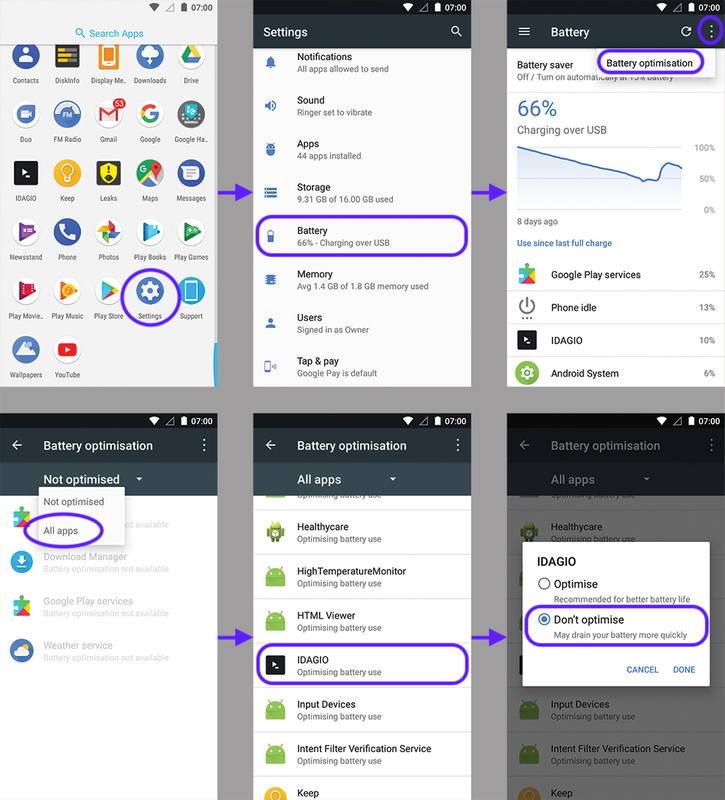 Android 7 (Nougat) has introduced enhanced power saving functionalities. However, these can have adverse affects, especially if using apps, such as IDAGIO, in the background or with the screen turned off. Now IDAGIO will not be controlled by the Android system’s power saving, therefore enabling it to run in the background and prevent interruptions during playback.